Square and round concrete slabs are available from All Star Concrete. 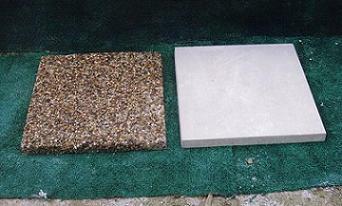 They also come in plain concrete, exposed aggregate or stained concrete. Feel free to view the sizes we have available below. *Available in plain concrete, exposed aggergate or stained concrete.